Menopause refers to a period of a woman’s life where there is cessation of menstruation signaling the end of reproductive ability. It begins with a perimenopausal period that tips off to menopausal period that is characterized by amenorrhea for more than 12 months. The timing of menopause varies widely but it generally occurs in the 4th or 5th decade of life with the mean age of occurrence at 51 years. Because many of the previously mentioned symptoms can be attributed to the loss of the normal cyclic production of estrogen and progestogen by the ovaries in menopause, hormone replacement therapy has emerged as a solution to prevent these complications. Hormone replacement therapy can come in topical or systemic formulations. Another important effect of menopause on the woman’s health is impaired bone metabolism and progressive loss of bone density. Some studies have estimated the prevalence of osteoporosis in postmenopausal women to be around 1 in 3 women. Another important effect of menopause on women is the increased risk of coronary artery disease. Hormone replacement is the administration of synthetic estrogen and progesterone to replace depleting levels of hormones in menopausal women. Combined estrogen and progesterone methods. Systemic therapy in form of oral formulations, a transdermal patch or gel or as an implant. Cyclic schedules such as progesterone containing methods. To relieve vasomotor symptoms of hot flushes, swelling and palpitations. To improve urogenital symptoms of dyspareunia, urinary frequency, and urgency. Therefore, it is important to understand that hormone replacement therapy has been proven statistically to only prevent osteoporosis thus therapy is effective if started during the first 5 years after menopause. Thus, it is indicated for women with low bone mineral density or a history of osteoporotic fractures. Hormone replacement therapy has also some important side effects that women should be aware of. Nausea, bloating, fluid retention and mood swings are common. Weight gain after starting hormone replacement has been always a debatable subject and is controversial, to say the least. Because of these several risks, baseline laboratory and imaging studies should be performed before commencing hormone replacement therapy. Note: Fasting lipid profile, blood sugar levels, ultrasonography to assess the endometrial thickness and the ovaries, electrocardiography, Papanicolaou test and a mammogram are the baseline investigations that we suggest to perform before commencing hormone replacement therapy. Hormone replacement therapy might contain estrogen alone or have a combination of an estrogen and a progestin. The most commonly used estrogens are equine estrogen, micronized 17-beta-estradiol or ethinyl estradiol. 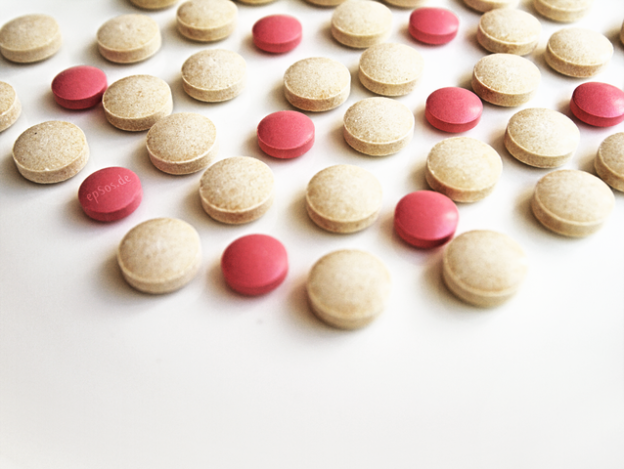 The most commonly used progestins are medroxyprogesterone acetate and norethindrone acetate. The most common dose used in combined therapy is 0.625 mg of equine estrogen, combined with 2.5 mg of medroxyprogesterone acetate. Women who have had a hysterectomy should receive estrogen alone. The rationale behind adding a progestin to the regimen is to oppose the effects of the estrogen on the endometrium which might be associated with an increased risk of carcinogenesis. Women who have undergone a hysterectomy do not need the opposing effects of progestin. Postmenopausal women who have an impaired lipid profile or an increased risk of osteoporosis might benefit from selective estrogen receptor modulators. These drugs can mimic the effects of estrogen or antagonize the effects of estrogen. They are known to prevent osteoporosis and have lower side effects compared to conventional hormone replacement therapy. Systemic hormone replacement therapy was proven to improve the symptoms of menopause that are related to vasomotor disturbance. These symptoms include hot flushes, sweating and palpitations. Systemic hormone replacement therapy is also effective in managing the urogenital symptoms of menopause, such as vaginal dryness, superficial dyspareunia and urinary frequency or urgency. Topical estrogen creams can be also used to relieve vaginal dryness and superficial dyspareunia. Urogenital symptoms usually improve after prolonged and continuous hormone replacement therapy and are known to recur after stopping the treatment. Systemic hormone replacement therapy is also very effective in preventing osteoporosis. Note: The strongest protective effect of hormone replacement therapy in the prevention of osteoporosis has been shown to be within the first five years after the onset of menopause. Premature ovarian failure is also associated with an increased risk of osteoporosis and hormone replacement therapy has been proven to significantly lower this risk. These effects appear to be lost after the women stop taking hormone replacement therapy. The United Kingdom National Institute for Health and Care Excellence (NICE) and the International Menopause Society have issued some guidelines to guide the general practitioners and gynecologists when prescribing hormone replacement therapy in a menopausal woman. Hormone replacement therapy is the mainstay treatment for vasomotor symptoms of menopause and the best option is combined equine estrogens with medroxyprogesterone acetate, or equine estrogens with bazedoxifene. The risk of breast cancer is very low when estrogen is used alone, but is slightly higher when combined therapy it used. It should also be explained to women taking hormone replacement therapy that the risk of cardiovascular disease is not significantly affected by taking hormones. Women with several relative contraindications to hormone replacement therapy should be started on selective serotonin reuptake inhibitors or serotonin-norepinephrine reuptake inhibitors in addition to gabapentin to control mood and vasomotor symptoms. The optimum time to start hormone replacement therapy is before 60 years of age or within the first 10 years after menopause.